David E. Elkins, SOC has over 25 years of professional experience as a Camera Operator and First Assistant Cameraman, working on feature films, television series, commercials, music videos, educational films, industrial films and much more. He is an active member of the International Cinematographers Guild Local 600 and Society of Camera Operators. "David Elkins is an elite craftsman who really knows his stuff! The Camera Assistant’s Manual, Sixth Edition contains all of the essential, up-to-date information on how to fulfill the duties of a Camera Assistant with complete professionalism. 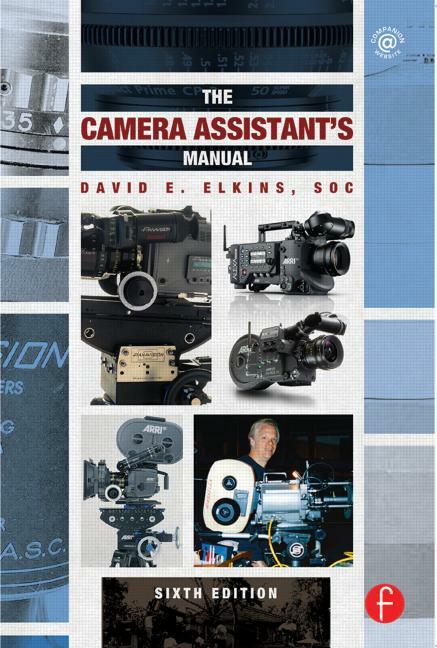 If you aspire to a career in the camera department, this is a must own book!" "This new edition of The Camera Assistant’s Manual blends technical information with descriptive procedural narration that will help you be in the right place at the right time and perform those duties that are expected of you as a member of a camera crew. If you are an aspiring cinematographer, by all means, put this book at the top of your reading list, and if you’ve been in the business for years, but have not brushed up on the latest procedures, it’s time to review and gain new knowledge!" "The film industry is finding itself in the most dynamic technical changes in its history, yet David's manual continues to keep up with changing trends. I not only recommend this book to the new Camera Assistant, but anybody who wants a real world understanding of what to expect on-set." "Elkins takes the best of the old school–techniques used to craft the best films ever made–and updates them for the digital world. Short of being on a set, this book is a great introduction to the most technically critical job in production."